Obituary – Casparis, Josephine Mae (Craig) « Perry High School Alumni Association, Inc.
﻿Red Hots ’46-’49; Red Hots Drill Leader ’47-’48; Y-Teens ’46’48; Library Staff ’45-’46. 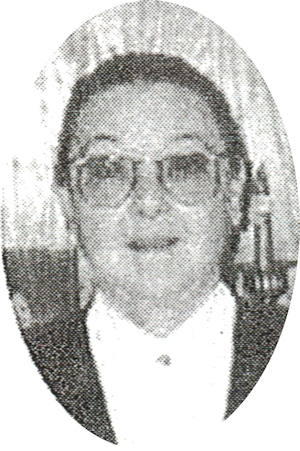 ﻿Josephine M. Casparis, 70, Morrison, OK, was the daughter of Ted R. and Wilda Taylor (Wills) Craig. She was born at Hayward, OK on October 9, 1931 and died January 11, 2002 at Hillcrest Medical Center in Tulsa, OK.
Funeral will be at 11:00 a.m. Tuesday, January 15, 2002 at the First Christian Church in Morrison, OK. Rev. Roy Fleshman will officiate. Arrangements are under direction of Brown-Sisson Funeral Home. Family visitation will be from 7-8:30 p.m. Monday, January 14, 2002 at the Morrison Christian Church. 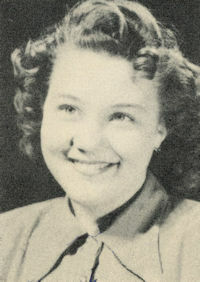 A lifelong resident of Noble County, she was a 1949 graduate of Perry High School. On March 27, 1951, she and Jack L. Casparis were married at Perry, OK. She was a member of the Morrison Christian Church. She had, been a sales clerk at Murphy’s Potpourri in Stillwater for over 20 years before retiring in 1999. In addition to her husband, of the home, survivors are one son, Jeff L. Casparis, and his wife, Inga, of San Jose, CA; one daughter, Jan L. Thomas, and her husband, Stan, Morrison, OK; grandsons, Brian G. Burton and his wife, Susanne, Boomer, NC, and Artem Sulima, San Jose, CA; three granddaughters, Brandy L. Burton and Shea Lynn Burton, both of Yukon, OK, and Eran Dalene Casparis, Bristow, OK; one aunt, Blanch Johnson, Redding, CA; two great-grandsons, Alex Yanes and Ryan Yanes, both of Yukon, OK; one great-granddaughter, Phoenix Marvel Casparis, Bristow, OK; and a brother-in-law Tolbert St. Clair, and his wife, Barbara, Perry, OK. Her parents and one sister preceded her in death.